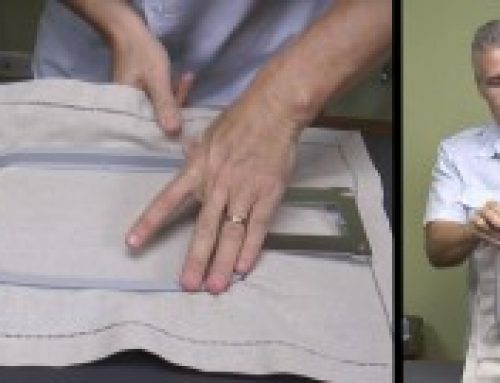 Struggling with thread breaks on your embroidery machine when using metallic or polyester thread? Do they keep breaking & breaking? 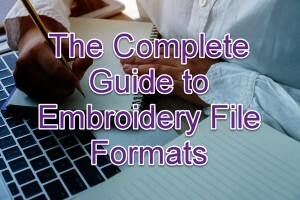 Metallic embroidery threads are often overlooked as the troublemakers of the thread family. Why? Because for most people, metallic threads constantly break when being used. In our opinion, metallic thread is simply misunderstood. 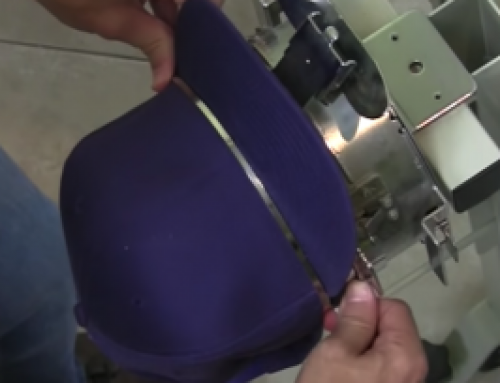 Why Does Metallic & Polyester Embroidery Thread Break More? The main reason why metallic threads constantly break is because it’s a synthetic thread type which makes it stiffer especially compared to Rayon which is noticeably softer to the touch. Polyester is also a synthetic thread, although not as stiff as Metallic. As a result, the metallic thread isn’t as soft and malleable as other thread types & when twisted, it breaks easier. This is a problem because of how most multi-needle embroidery machines prop up the thread spools being used (vertically rather than horizontally). When a spool is resting upright on one of your embroidery machine’s pegs, the way that the thread comes off the spool naturally causes the thread to twist (see image below). 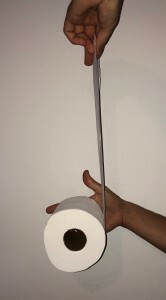 To illustrate this point, think of a roll of toilet paper, if you were to take the toilet paper off while the roll was standing up vertically (the cardboard tube in the middle facing upward) the paper itself would wind up & become kinked. Similarly, as metallic thread continues to twist, it becomes more & more wound up which creates tension. Now the real issue takes place when the thread hits the eye of the needle. 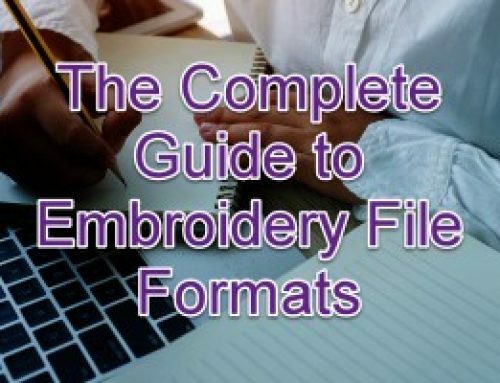 On average, if you were to put a single dot on a piece of thread & run it on your embroidery machine, that dot would pass through the eye of a needle an average of 16 times before being sewn into a project! Given the large amount of tension already placed on the metallic thread from the constant twisting, the friction of passing through the eye of needle so many times adds fuel to the fire which increases the chances of the thread breaking. Thankfully there is a solution! 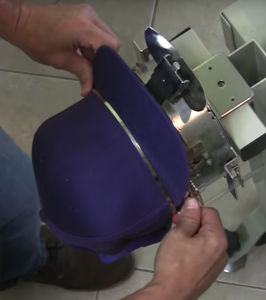 Rather than having your thread come off the spool vertically, set up the spool horizontally (see image below). This will avoid the thread from twisting as it comes off the spool. To illustrate this point, think about how toilet paper naturally comes off the roll when laid vertically (how it normally is). The paper comes off as it was put on without issue (now whether the toilet paper should be placed over or under is another debate altogether). Setting up the spool horizontally can be accomplished in a number of ways. You could either create something to hold the spool horizontally with a pencil & a plastic cup (see the Youtube video below) or if you’re looking for a more professional method, be sure to check out the Thread Directors. I personally use one on all of my machines, they work wonders. 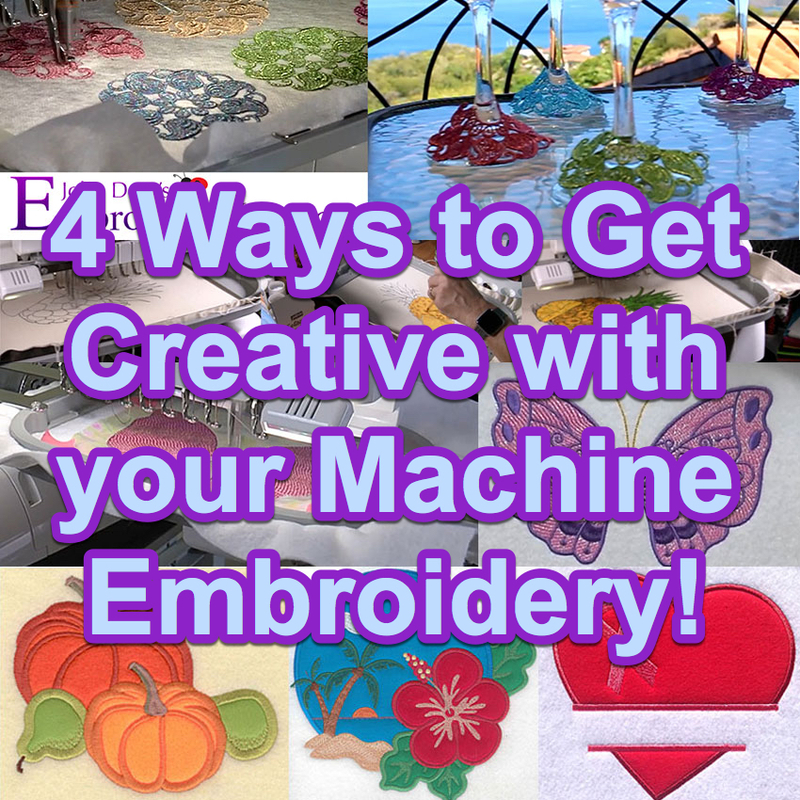 One last tip: SLOW YOUR EMBROIDERY MACHINE’S SPEED DOWN. The faster your machine is running, the more tension you’re putting the thread under. I’d recommend between 300 – 400 stitches per minute for optimal results. 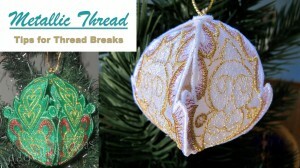 Now you’re ready to try using metallic thread again without the headache! 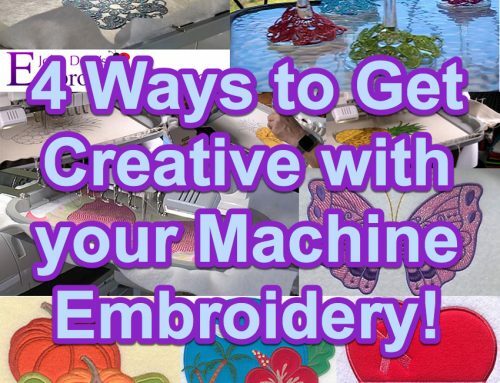 If you need a design to try it with, click here to download any 1 embroidery design free from over 25,000 (just to try us out in case you haven’t already). Wonderful advice. I’ll be glad to try it!